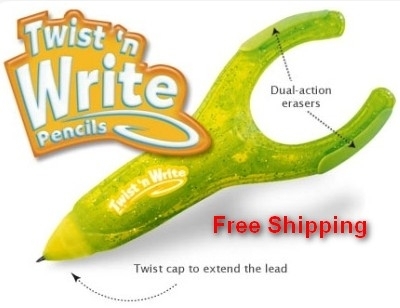 The Twist n Write pencil is a new model specifically designed to fit smaller hands and bring back the fun in writing. The wishbone shaped design forces the school taught 'tripod" position. 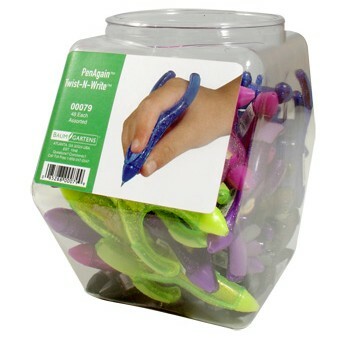 The unusual, curvy design and fun colors will make your kids want to pick up and write or doodle. A thick 2mm, #2 pencil lead provides for long lasting write-out. 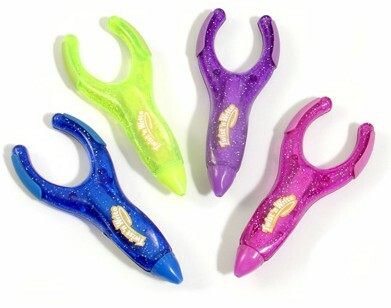 Simply twist the tip to expose more lead. Dual-action erasers on each arm. Classroom set of 48 in a tub. Free US Ground Shipping for a limited time.